A county that is host to Phoenix, the largest metropolitan area in Arizona. Maricopa was looking for an innovative and more effecient way to receive and score RFP responses. Ajanta delivered this solution in less than 6 months, and reduced processing time by 50%. The system is still currently used today and Ajanta still engages in troubleshooting and new RFP tool development. North America's largest environmental solutions company whose focus is reducing waste. Ajanta helped evaluate Waste Management's SAP implementation by creating an ASP.NET survey tool to evaluate user comprehension and satisfaction. The tool successfully gathered over a thousand user responses for the OCM team. One of the largest and most innovative Aerospace companies providing defense and commercial electronics to a variety of customers. Ajanta helped lead multiple OCM teams through 2 SAP implementation. Ajanta also guided a Value Management team through a PLM exploration period in addition to serving as the change lead on the SAP sustainment team. A federal deposit corporation setup to insure the safety of all deposits at member institutions. To date the FDIC has never failed to insure a single penny of despositor money. Ajanta served as a consulting partner to Deloitte in transitioning failed financial institutions to the FDIC, then to acquiring institutions. Ajanta assisted in the resolution of over 5 banks, and led data, accounting, and OCM efforts. The world's largest wholesale distributor of technology and computer related equipment. Ajanta led change and role mapping efforst for multiple domestic and international SAP implementations. Ajanta served on the core team and led coordination efforts for each individual wave teams connecting role mapping, training, and communication efforts of over 5,000 users. One of the world's foremost makers of commercial and family motor vehicles whose US branch is headquartered in Southern California. Led the human resources process redesign and business optimization efforts. Analyzed payroll and unworked time numbers creating changes in policy resulting in millions in savings for Toyota Motor Sales and Toyota Financial Service. Headquartered in San Diego, Sempra is one of the largest energy holding companies in the Fortune 500 and serves roughly 25 million customers in Southern California. Led the gap analysis and process redesign efforts for a widespread GIS implementation involving affecting a majority of the company's users. Alere Toxicology has been one of the world leaders in substance testing solutions since 1978. Recently, Alere decided to migrate their Laboratory Information Management System (LIMS) to a new system. Alere employed Ajanta to help facilitate the new system migration and adoption via development of custom scripts as well as the coding of a data analytics solution that could display the status of existing Electronic Medical Record (EMR) system results at any point in time. The State of Texas established the Texas Department of Transportation (TxDOT) in 1917 and is now one of the largest state departments. TxDOT employed Ajanta Consulting to assist with one of the largest PeopleSoft implementations in the country to assist in replacement of the current Human Capital Management (HCM), Financial Supply Chain management (FSCM), and Enterprise Learning Management (ELM) systems. Ajanta was the primary security administrator for the implementation and established a system of controls and measures to assist in audit readiness. Additionally, Ajanta was the main player in change management by conducting the role mapping for the entire organization. Systems Planning and Analysis (SPA) is one of the largest privately held defense contractors and professional services company. SPA primary clients are federal government including DoD, Homeland Security, and the US Navy. Because of Ajanta's excellent customer service history with the US Navy, SPA selected Ajanta for the SPN division of the Strategic Systems Program Command to develop a custom software tool. The tool was required to managed the funds control and execution of engineering projects. The system would be used by SPA budget analysts for presentation to the board and for the development of how funding is managed. During a critical time in the United States military history, the US Navy called upon Ajanta Consulting to lead its User Management efforts. Serving as a subteam of the overall Organizational Change Management team for the Strategic Systems Program's SAP implmenetation, Ajanta instituted the overal User Management and Role Mapping Strategy. Additionally, Ajanta led the architecture, design, and development of the role mapping tool and role mapping database that saved the Navy over $700K in alternative systems procurement. Ajanta oversaw the successful mapping of over 2,500 users in 7 different Naval locations. The State of Texas has high goals when it comes to higher education in the state. Texas has now launched 60x30TX, the new higher education strategic plan which aims to position Texas among the highest achieving states in the country and maintain its global competitiveness. 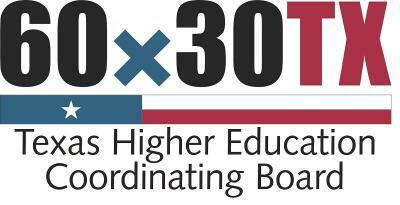 60x30TX is entirely student-centered: its overarching goal is that 60 percent of young adults (25-34) in Texas will hold some type of postsecondary credential by 2030. It also proposes that these graduates will have marketable skills regardless of major and that, statewide, students will not graduate with debt exceeding 60 percent of their first-year wages. Ajanta Consulting serves as critical project oversight in the Coordinating Boards overarching goals.